With the baby boomer generation coming of age, we’re seeing a noticeable shift in how seniors exist in today’s society. No longer are the days of nursing homes and wheelchairs, or moving in with adult children. Many of today’s seniors are more independent than ever before, outliving the elderly of yesterday by leaps and bounds. But this trend is creating a new scenario across the United States – demand for independent, affordable, and accessible housing. According to the Census Bureau stats, the population of Americans over age 65 increased by about five million between 2000 and 2010 and over the next 20 years, the aging of the Baby Boom generation will cause the senior population to grow by 30 million! Although many face challenges to some degree, most elderly Americans want to remain in their home. Those who feel the need to move, still prefer to remain in an independent residence, usually just closer to family or without stairs. And senior housing communities are gaining in popularity for socially active retirees who thrive in a community situation. The options are vast – and will continue to expand as the demographic does. Reverse mortgage is an accessible and viable option for many of these seniors aged 62 and older, and with minimal income and credit requirements. A reverse mortgage can be used to stay in a current home throughout the aging years while living mortgage payment free – OR – can be used to purchase a new home and still live mortgage payment free. As seniors take control of their housing situation and become more proactive about their futures, they will find an opportunity exists to ensure a financially stable future, while maintaining their independence, health, and dignity. 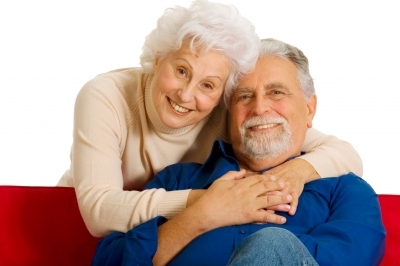 To learn more about obtaining a reverse mortgage on your current home, click here. And to learn about using a reverse mortgage to purchase a new home, click here.